From the Edge Thao Dien, even customers who first try to invest in real estate will also find two extremely attractive plus points. This is also the two major advantages that help Capitaland Edge project become “better” in the eyes of investors. It also create good impressive to customers who are looking for a peaceful residence. We will learn each plus point to clearly see the potential from the position of Capitaland Edge. The Edge Capitaland Thao Dien apartment project is located in the most crowded European-American residential area in Thao Dien Ward, District 2. According to official announcement from Capitaland investor, Sensation Capitaland Thao Dien project is renamed to The Edge Capitaland. Together with this change, the project will have some new changes. However, it is still located in front of Nguyen Van Huong Street, Thao Dien Ward, District 2, Ho Chi Minh City, Viet Nam. 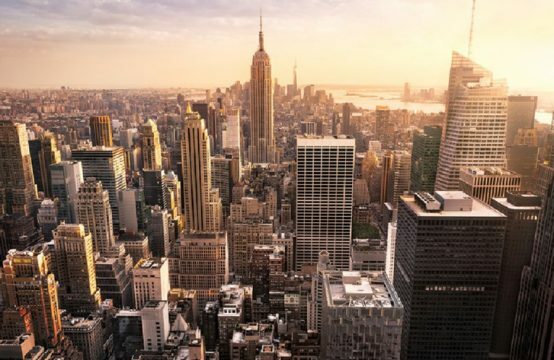 Thus, more than 8000 m2 of land in this area will be developed to super-luxury 5-star apartment building with more than 300 products which will be formed soon in the time ahead. This is the 10th project in Vietnam invested by well-known investor from Singapore. It is also the largest and most expensive project in the segment of luxury apartments invested by this Group. Therefore, every details of the project are paid great attention. 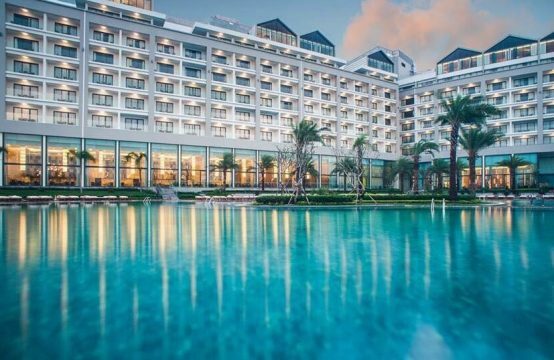 In particular, location element is highly appreciated, showing firm and comprehensive strategic vision of Capitaland on the journey conquering Vietnam market. 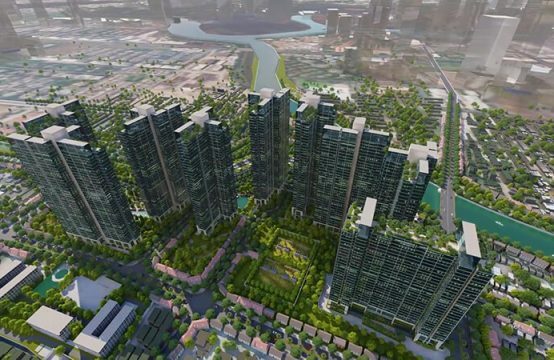 Located in the center of Thao Dien Ward – also named as the famous European-American residential area of ​​Saigon that has been formed for a long time since the French colonial period, The Edge Capitaland automatically becomes one of the projects located in the most notable land bank in the South. The European-American residential area in Thao Dien is considered as one of the most prime areas in the region, not only because it gathers a lot of foreigners coming here to work, live and experience (benefits from housing demand, liquidity), but also because it owns the attractive exterior system and great traffic convenience. With particular regional link, its residents can go wherever in only five to thirty minutes by a large number of arterial roads. 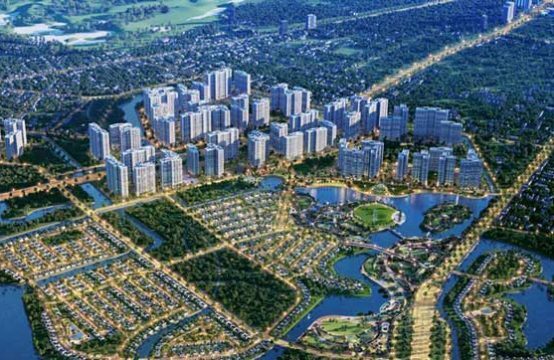 Specifically, it takes only 10 minutes by driving to Thu Thiem new urban area, 15 minutes to District 1, 20 minutes to Tan Son Nhat International Airport. In addition, The Edge Capitaland is just 2 km away from Ben Thanh – Suoi Tien metro line, so when this route is officially put into operation, the travelling of residents will be much easier, and the potential value of real estate there will increase rapidly (according to surveys in many countries, where there are metro lines passed, the value of real estate can increase from 15% to 30%). With its location in European-American residential area, it can be seen that The Edge Capitaland has inherited the prime land bank in Saigon. In addition to being located in a large residential area of ​​foreigners, close to existing high-end international standard facilities and prominent regional links, The Edge Capitaland is also highly appreciated by its location near Saigon River. 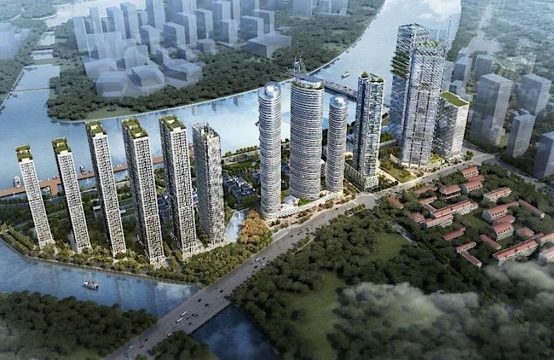 Although the project is not located right at the riverbank, it is only a few minutes away from the winding river flowing surrounding Ho Chi Minh City. Along with the spacious design, from the apartments, the residents can capture the full view of immense and peaceful river, the busy street lighting at night of the city, and the green patches from trees. The panoramic view of nature and the peaceful life of Saigon are captivated to eyes, bringing a colorful space for residents of The Edge Capitaland, as well as a highlight making the project become more attractive. 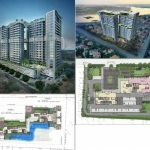 With the above general analysis, we hope you will have more specific, accurate view about the Edge Capitaland Thao Dien project. 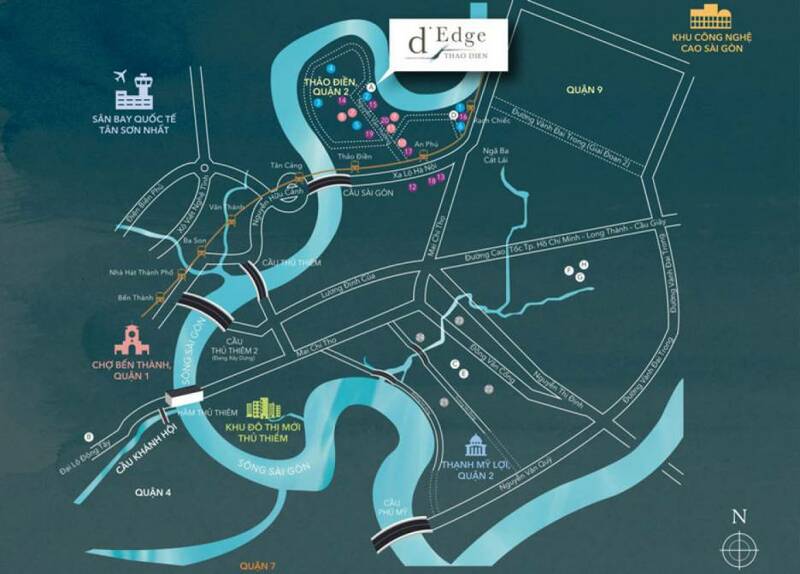 The Edge Capitaland promises to be the bright spot in the luxury apartment segment. If you are interested in the project, you can place a reservation right now.